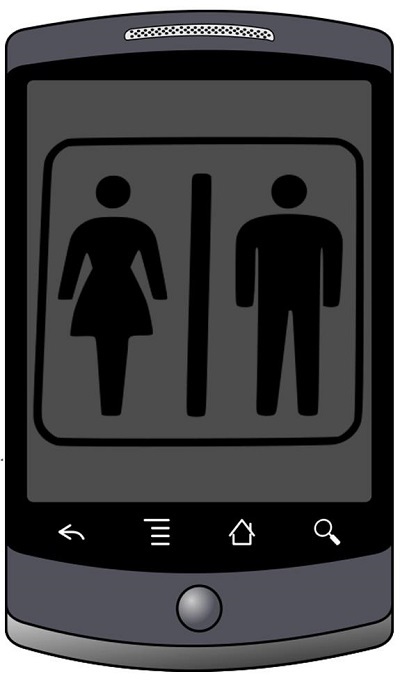 If you wouldn’t touch your face to a surface in a public bathroom, then you may want to look again at your gadgets. According to some of the information that was taken from the CES (Consumer Electronics Show), last week, mobile devices are far from being clean, and as we are currently in the middle of a heavy flu season, users may want to become aware of the fact that their gadgets are swimming with germs. Though these gadgets may seem like our best friends, they could increase the risk of illness. Presenters at the CES brought a technology to the show. This is far from a new theme, but the difference this year was the quantity of new sanitizing gadgets that were being presented for mobile devices such as smartphones and tablets. They pointed out that it is a very good idea to think about the fact that the devices are constantly being touched by hands, faces, purses, pockets, and a countless number of surfaces. The hope was to draw attention to the issue of keeping mobile devices clean – and to sell gadgets to accomplish that goal. According to the co-founder of Phonesoap, Dan Barnes, who was present at the event and was displaying its own version of a solution to this problem, the problem is that a cell phone “is always warm, stored in dark places, so bacterias are growing on your phone.” That company’s gadget both sanitizes and charges the device at the same time. Barnes explained that the concept for his product came about after he had read a study that indicated that “mobile phones are 18 times dirtier than public bathrooms.” His product uses ultraviolet radiation in order to kill the DNA in the bacteria, which makes it impossible for it to continue living on the gadget’s surface. There were a number of other similar products being shown off at the event, including a USB connection powered version called CleanBeats that plays music and recharges up to two devices as it sanitizes them. That product is based on NASA technology and, according to its spokesperson, Dennis Rocha, it will be sold for $499 when it hits the shelves. That is nearly 10 times the price of Phonesoap, though it does have more features and sanitize/charge twice as many mobile devices.